Sheila grew up in a household where everyone spoke several languages, but the two branches of the family shared only English, and her generation was the first to have that as their mother tongue. With that as a background, it was natural to have friends from varied backgrounds and she often found herself translating between French and English friends. Her first professional translation work was the catalogue for the group exhibition Parcours: à travers l’oeuvre d’artistes des Laurentides at the Galerie d’art du Vieux Palais (now the Musée d’art contemporain des Laurentides) in Saint-Jérôme in 1985. At the same time, Sheila and Joe spent a year on the publication of the family history The Seeds, including editing, indexing, selecting and inserting the photos, printing and binding all the copies that were then distributed to the extended Paré family. That was the same year that she and Joe set up Doncaster Realties where, among many other tasks, she translated vast numbers of real estate documents and, with Joe, began publishing the Doncaster Ballyhoo newsletter, honing both writing and editing skills in the process. 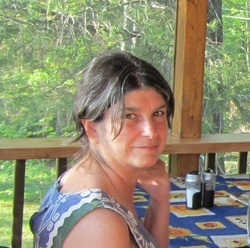 With their deep involvement in community activities, particularly the Sainte-Agathe Heritage Committee, Sheila worked on many projects related to the history of Sainte-Agathe, including the translation of the interpretation panels at strategic locations around town and the descriptive map for the heritage walking tour of downtown. Joe’s developing skills in writing about local history led to the publication of Naming the Laurentians, and its French version, Nommer les Laurentides, for which Sheila created the indexes. The monthly Main Street columns that led to the books have continued, with Sheila editing them before they are submitted for publication. As the business wound down, Sheila had more time to devote to her passion for words, language and ideas. She and Joe were co-editors of the magazine Quebec Heritage News for a year, which led Sheila to join the Editors’ Association of Canada where she has participated in a number of professional development workshops to further improve her skills. As founding president of the English Communities Committee of the CSSS des Sommets, Sheila worked hand in hand with the communications department to ensure the quality (and quantity) of documentation available in English, first as a volunteer, checking over both in-house and contracted work, then receiving translation contracts for a variety of pamphlets, instruction booklets and the institution’s website. For many years, she also wrote a column on health and social services for Main Street. Other projects have included editing and translating for magazines and websites in the restaurant, real estate, cultural and recreation fields as well as extensively in the Laurentian health and social services network including the large task of translating the caregiver's guide called Caregivers to the Elderly. She has copy-edited and/or proofread a number of books including the monumental Affirming Collaboration, and indexed both English and French versions of the skiing Wertele sisters’ biography No Limits / Sans Limites. If you would like more information about the services available, contact Sheila Eskenazi (sheila-at-ballyhoo-dot-ca) or by phone at 1 819-326-6872.